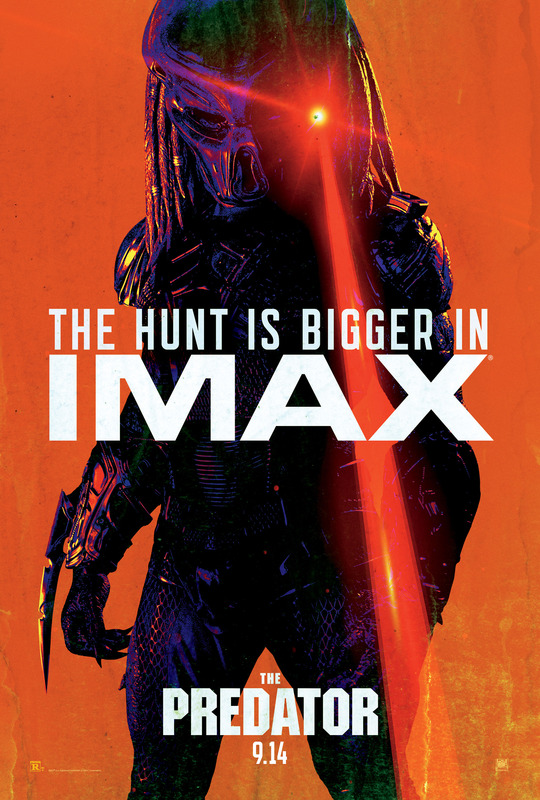 Bigfanboy.com and 20th Century Fox want you to see THE PREDATOR starring Boyd Holbrook, Trevante Rhodes, Jacob Tremblay, Keegan-Michael Key, Olivia Munn, Sterling K. Brown, Alfie Allen, Thomas Jane, Augusto Aguilera, Jake Busey, and Yvonne Strahovski at a special advance daytime screening in Dallas, TX. We want you and guest to see this one early and for free – the screening will be held on Monday – September 10th, 2018 at 7:00pm in Dallas. Each pass is good for two people (while supplies last). NO PURCHASE NECESSARY. One pass download per person. The screening in on Monday, September 10th at 7:00pm at the theater specified on the pass – our pass codes are only good for the corresponding theater. One print off per person please, each pass admits two. Please, no trading of passes. If you’re not 100% sure you can attend, please do not print passes, as you could be taking a pass away from someone who genuinely wants to be there. These passes come to you compliments of Bigfanboy.com, and we frequently offer advance screening passes – please follow us ON TWITTER and ON FACEBOOK.